Best Buy's first UK store will have Green Tech area for eco-friendly kit | What Hi-Fi? The 'Green Tech' area will showcase everything from energy management products to solar chargers and even electric vehicles – a first for any UK consumer electronics retailer. Electric cars, motorcycles, scooters and bicycles (as well as the helmets, lights and a comprehensive accessory range to go with them) will be under the same roof as your familiar AV electronics kit. As well as new kit, punters can learn how to get the most out of their existing technology with a showcase of the latest energy efficient products on the market. Specially trained 'Blueshirts' will be able to offer expert advice to help customers begin to live more energy-efficient lives. Best Buy's first UK store is set to open its doors in Thurrock, Essex on 30 April 2010, followed by stores in Hedge End (Southampton) and Merry Hill (West Midlands) in June, and Aintree near Liverpool in the following weeks. Best Buy has also confirmed that it will be opening a store in Croydon, Surrey in Autumn 2010. We'll be reporting live from Best Buy' s preview day next week so check the website and follow us on Twitter to hear and see our first impressions. US consumer electronics retailer Best Buy will open its first UK megastore in Thurrock this May, with Hedge End (Southampton) and Merry Hill (West Midlands) to follow in June and Aintree near Liverpool a few weeks later. Further stores will open across the UK later this year, including one in Croydon in the autumn, and a store in Bristol is due for completion in spring 2011. A dedicated area within the new stores will showcase "an array of the finest affordable and premium home theatre and audio products available in the UK", says Best Buy. This will include a full range of high-definition and 3D TVs, "brought to life at the Thurrock store in an immersive 3D TV experience", with surround sound systems, speakers, Blu-ray players, headphones and wireless streaming solutions. There'll also be a bespoke, premium home entertainment service. The company will offer in-home consultations and installations of the best home entertainment technology, customised lighting, speakers and remote calibration and wireless solutions. 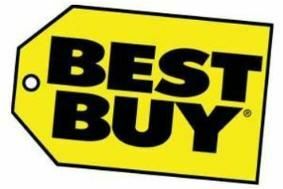 Specialist AV installation company SMC will work with Best Buy's own Geek Squad Agents to provide the service. Options will range from affordable set-ups – including a high-def TV, Blu-ray player and receiver, speakers and installation – for around £2000, to the "ultimate in top tech" for around £20,000. Top brands such as Loewe, Sony, Samsung, Bose, Harman Kardon, Pioneer, Denon, KEF and Panasonic will be available. Customers will also be able to buy the latest Blu-ray, DVD and music releases, video games and consoles. There'll also be a whole host of other products available, including cameras, computers, mobile phones, home appliances, plus fixed and mobile broadband – all under one roof. • 0% commission: Best Buy's Blueshirts and Geek Squad Agents don't work for a commission "in order to offer a truly impartial service". • Walk out working: Buy any laptop, camera or mobile phone and Best Buy will offer to set it up so it's ready to use. • Geek Squad: 24-hour technology support and advice service. • 1-2-1 Help: Book an in-store consultation online or in the store with a Blueshirt or Geek Squad Agent. • Trade-in and save: When you trade in an old TV, laptop or mobile phone, you could receive a discount towards your next purchase. • Test drive: A wide mix of the latest technology is switched on, connected and ready for you to try before you buy. • Price guarantee: Price match on any product, plus an extra 10% discount. In addition, if you find the same product for less elsewhere up to 30 days after you bought the product, Best Buy will refund the difference. Paul Antoniadis, CEO of Best Buy Branded Operations, says: "We're here to make buying technology simple, exciting and tailored to each of our customers." Best Buy has already teamed up with Panasonic in the US to sell 3D TV.